Description: (Matavia Bay) OTAHEITE. 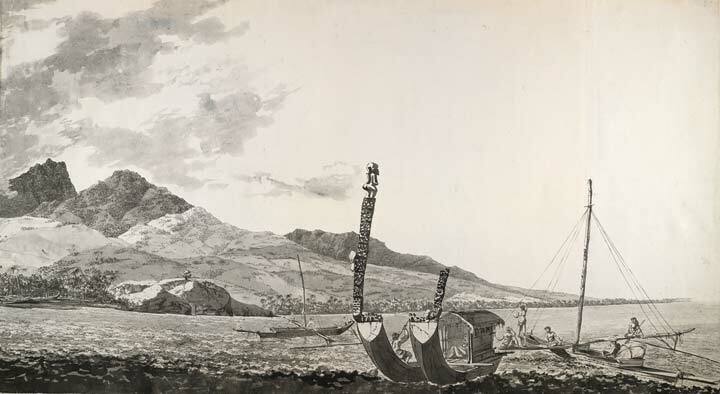 View of Tahiti with canoes. High carved prows, one with figure on top. Two other sailing canoes in background. Point Venus and One-Tree Hill, with Mount Orofena behind.